The idea behind the Art of Compassion Project is to create awareness by opening people's minds and hearts to animals through art. Every year we will support AT LEAST one different non-profit and donate 100% of the profits to them. This year (the first year of our project) we are fundraising for Veganuary. Every single artist involved in the project is either vegan or vegetarian. Sixty-eight artists from all across the globe have contributed to this crowdfunding project. Why are we fundraising for Veganuary? Launched in the UK in January 2014, Veganuary (pronounced vee-gan-uary) is an online campaign that encourages people to 'try vegan for January'. Veganism is one of the most effective choices a person can make to reduce the suffering of animals, help the planet and improve personal health. As a non-profit organisation, Veganuary is dedicated to changing public attitudes, while providing all the information and practical support required to make the transition to veganism as easy and enjoyable as possible. Veganuary has had an incredible degree of success in a very short time: 16,000 people have taken part, with over 50% remaining vegan six months on. We estimate that as a result 1,596,180 animals' lives have been saved. Earlier on this year I approached various artists around the world with the idea of putting together an art book in aid of Veganuary.The result was inspiring and soon I had 80 artists on board. These artists are from all around the world; Africa, Europe, Australia, Zealandia, North and South America and Asia. A large part of the art you see available as perks in this crowdfunding (fundraising) campaign is a result of the work I received from these artists. 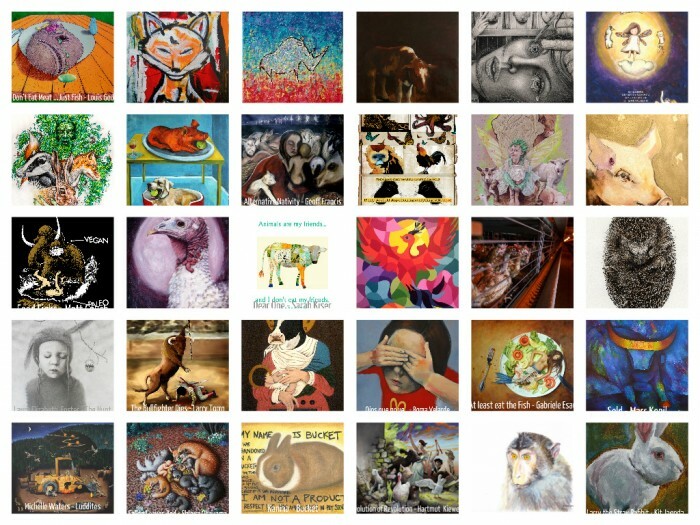 Each artist with their own distinctive but all with a common goal: Creating a better world for animals through their art. The upcoming book not only offers beautiful art but also a little about each artist's journey. Unfortunately the book is NOT a perk in this campaign but will be on sale in late November 2015. Should you decide to donate to this campaign, I will personally keep you updated about the book. In the meantime, please enjoy the beautiful art...it's our hope that the perks available in this campaign will whet your appetite for more while allowing you to donate to an excellent cause. 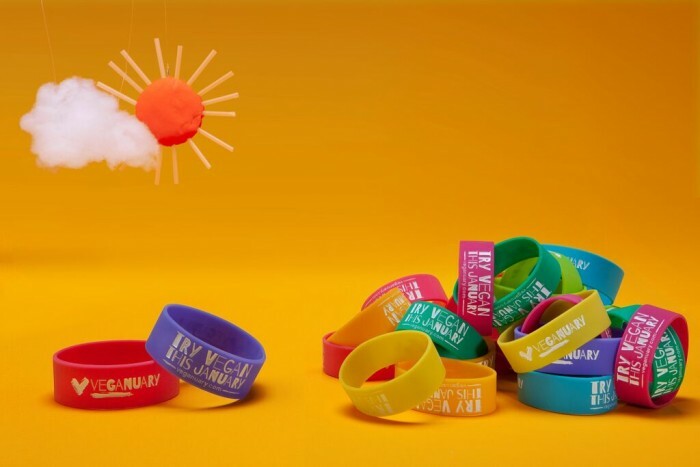 The money raised will be used to manufacture the perks and mail them out to our supporters. The remaining balance goes to Veganuary (see FAQ section below for more information). The postcards are A6 and printed on 350gsm paper stock. On the reverse is space to write your message, add the addressee's info. 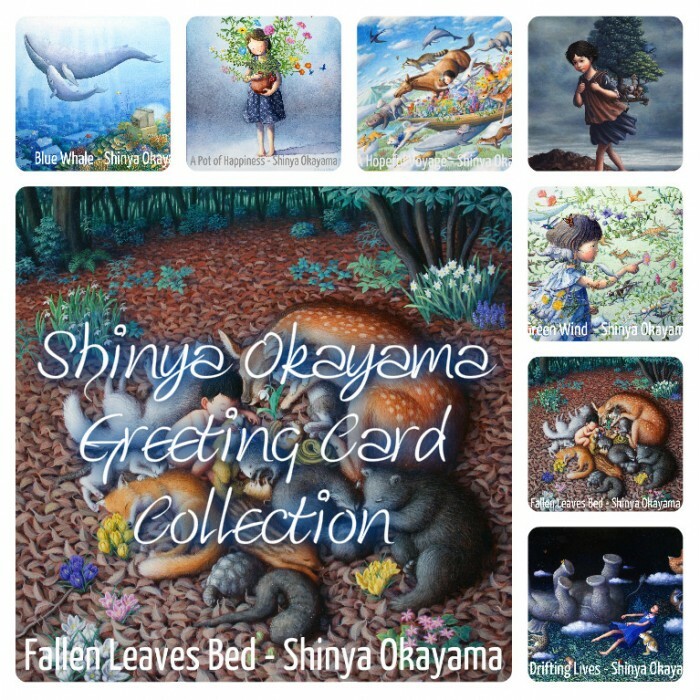 Each postcard has the title of the artwork and the artist's name printed on the front. Once you have made your donation, we will send you a form to fill in with your favourites. The greeting cards are A6, printed on 340gsm paper stock and come with envelopes. They are blank on the inside. £50: Giclée print 8" x 10"
£100: Giclée print 15" x 20"
We have 125 gorgeous Giclée prints to choose from. Click here to see the collection. The Giclées will be printed on 310gsm Hahnemühle paper which is 100% cotton and acid-free. With proper care Giclée prints retain their beauty for more than 100 years. The average size is 15" x 20" (38,1cm x 50,8cm). Some may be slightly longer but narrower to accomodate the dimensions of the original drawing / painting. Each Giclée comes with a Certificate of Authenticity, whereby you'll receive my personal guarantee that the artwork was received directly from the artist in question as well as the artist's website address and a little background information on the artwork. Click here for a full list of contributing artists. We have planned to get everything printed and mailed out at the end of September. So, you'll get your perk/s before the end of October 2015. How many different Giclée prints are available? There are 125 to choose from. Click here. Tell me more about the Giclée prints. Your Giclée print will be printed in Barcelona on beautiful 310gsm Hahnemühle paper. It is 100% cotton, acid-free art paper with exceptional saturation and D-max. If you've chosen a photograph, it will be printed on Hahnemühle Photorag. Will the Giclée print fade? If you frame your print under UV plexiglass, there is no discolouring for more than 100 years. How big are the Giclée prints? The average size is 15" x 20" (38,1cm x 50,8cm). Some may be slightly longer and narrower to accomodate the dimensions of the original drawing / painting. The postcards are A6 and printed on 350gsm paper stock. The title of the artwork and the artist's name is printed on the front of the postcard. How big are the greeting cards? The greeting cards are A6 and printed on 340gsm paper stock. They come with envelopes. How big is an A6? I noticed that the images have the title and artist on them, will my Giclée print be like that too? No, we just did that just so you can choose your favourite. The Giclée prints come with a Certificate of Authenticity with all the relevant information. Where can I get an Art of Compassion T-shirt? Do you have any other projects on the go in aid of Veganuary this year? * An Online Art Auction in August 2015. I LOVE all this art! I want to see more! Postage/mailing costs to the UK, Europe and USA are included. There might be a surcharge on postage for other countries - please contact us so we can check. I'm an artist and vegan. I'd like to participate in a future 'Art of Compassion' project. Fabulous - please email us, we're always on the lookout for new talent! Tell me more about Veganuary. In two years, over 16,000 people have taken part; with four times as many participating in January 2015 than the year before. Veganuary.com is one of the most innovative and comprehensive vegan resources available – providing honest, clear, and expert advice in a non-judgemental and supportive manner. 12,800 people officially signed up to Veganuary.com for January 2015, with over 4,000 coming from the States. The UK had the second highest number of participants, Australia was third, and Mexico, Spain, France and Germany all featured in the top ten. • And 51% decided to stay vegan! In the months outside of their main Veganuary campaign (1 November – 31 January), their collective focus is Try Vegan, Stay Vegan. 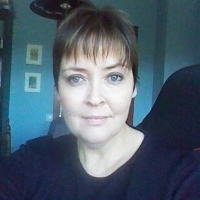 This allows them to continue the momentum of January and engage with past participants, as well as extending their reach and communicating with those who are not yet familiar with veganism. With current patterns looking set to continue, they're expecting participant numbers of over 50,000 for Veganuary 2016. Veganuary.com is already available for the UK, the United States and Australia, with a South African version set to go live for 2016. The next online development will see them translating the website into a number of different languages. Your donation will go towards maintaining and running the Veganuary website and other promotional activities. We'd really appreciate you helping us spread the word about this campaign. Help us fundraise for Veganuary! 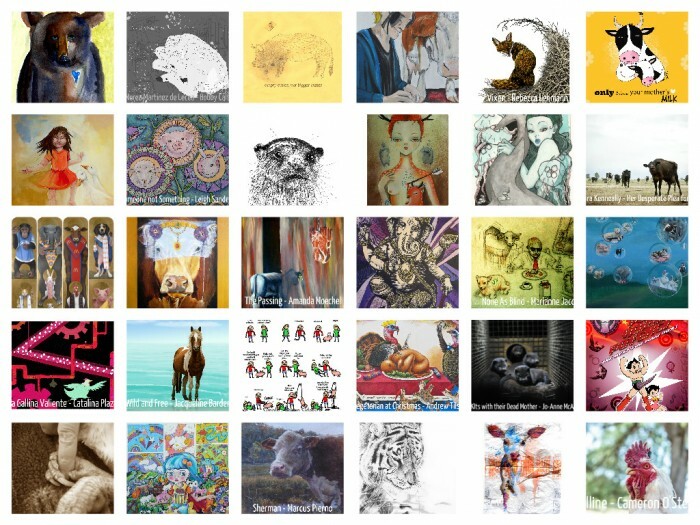 Sixty-eight international (vegan/vegetarian) artists have generously allowed their artwork to be used to create the beautiful perks offered in this campaign.